Namco Bandai have unveiled the latest instalment within their Family Trainer series, which is exclusively headed to Wii later this year. 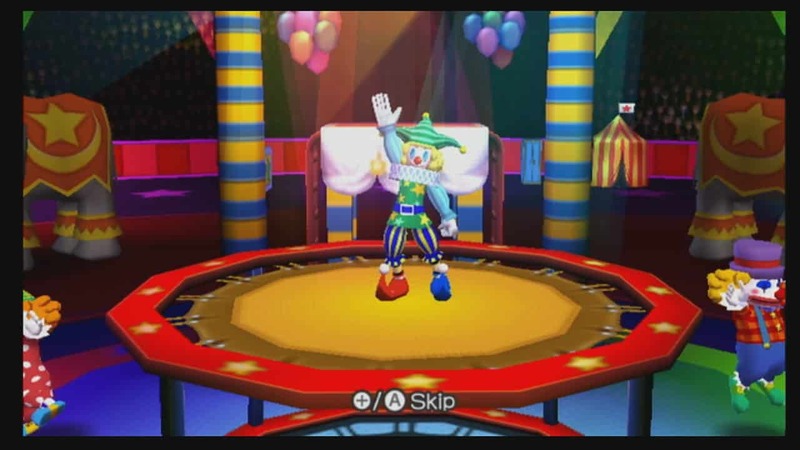 Family Trainer Magical Carnival promises to take players on a fun-filled and family-friendly trip to the carnival, where you’ll use the Wii Remote and Family Trainer Mat Controller as you explore a variety of exciting attractions. You’ll be able to investigate themed theme park zones including haunted houses, a lively circus tent, a pirate ship on the high-seas, a colorful parade and magical fantasy attractions which will be accompanied by activities that encompass taming lions, steering pirate ships, riding a flying carpet and more. The game will support up to ten players across both co-operative and competitive challenge modes, with multiple difficulty options that allow the game to cater to all skill levels. ‘Party at the Park’ mode will see up to 10 players play in a series of individual or team-based activities, whereas ‘Dream Attraction’ is filled with a number of themed carnival attractions. Additionally, a versatile ‘Free Play’ mode will offer easy access to individual attractions. Players may even sending an invite to a friend’s Mii on your Mii Plaza to enjoy the two-player ‘Let’s Go Out!’ mode in which you can spend some time with that special someone…! Family Trainer Magical Carnival is due to release across Europe for Wii on November 18th, and will be bundled with a Family Trainer Mat Controller.